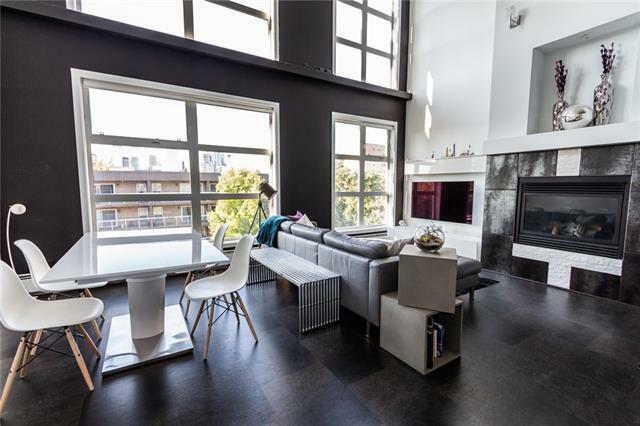 Unique two storey penthouse loft located in the trendy Mission district - close to fantastic restaurants, walking paths, transit, the Elbow river and DT. Stunning top to bottom renovation with custom features throughout! 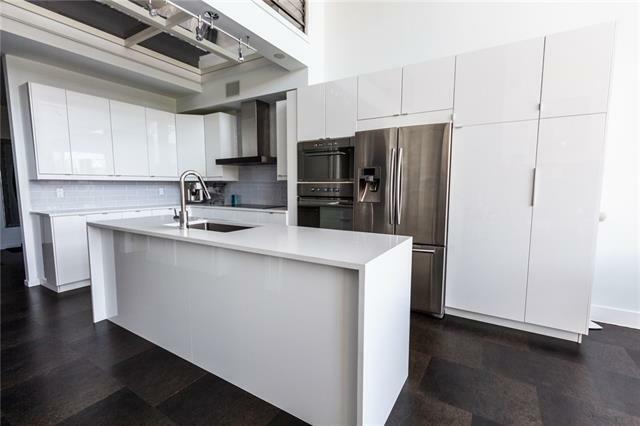 Spacious entryway and front closet area lead into the redesigned kitchen featuring quartz countertops, induction cooktop, 8.5' waterfall island, built in appliances and under-cabinetry lighting. Adjacent to the kitchen is an updated full bath and large laundry room. 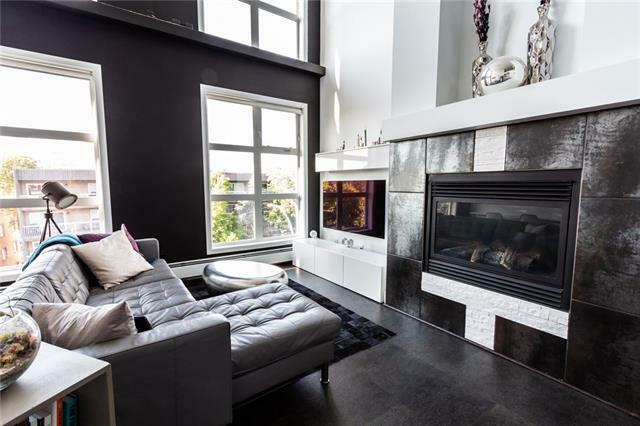 Fantastic main living area is accented by a custom chandelier, fireplace, 18' ceilings and built in cabinets. Upper level has an incredibly spacious open loft bedroom, full ensuite complete with dual sinks and body-jet shower - and access to the massive rooftop deck. Additional custom features of this unit include built in speakers, glass floor, cable railing, cork flooring, smart light switches and motorized blinds. 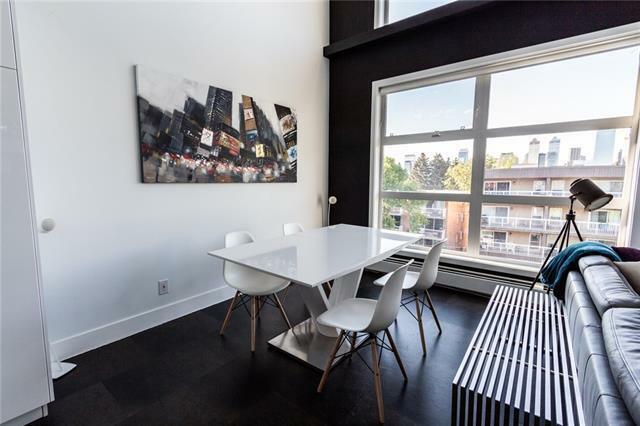 Underground parking, storage locker and city views top off this truly one of a kind unit!